From CityHope Church in Alabama, we received first year ministry students for the first time! This addition to our medical brigades made our outreach even more rich and all-encompassing with spiritual ministry being focused on alongside our medical care with this dimensional group. 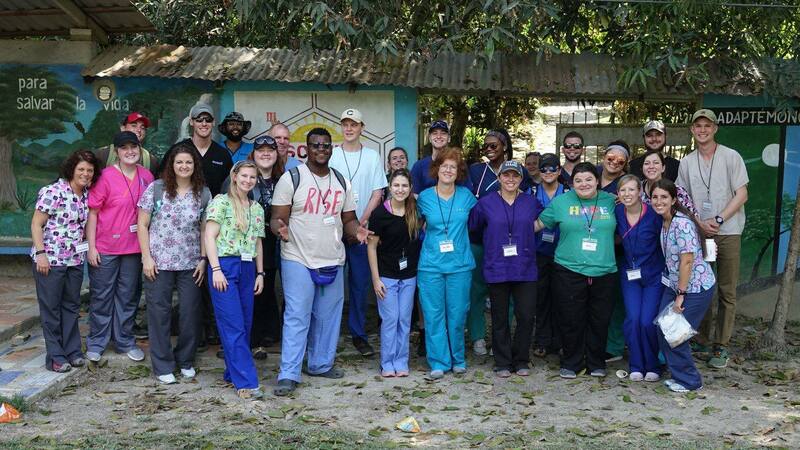 Our week’s schedule had us in Rio Viejo (100 medical patients, 20 IER seniors with dental cleanings), Las Mangas (55 medical patients, 13 dental cleanings), and Los Pirineos (28 medical patients, 6 dental cleanings) on brigade. Changing gears, our school visits were in Yaruca (123 students), Las Mangas (64 students), Nueva Suyapa (36 students), Rio Viejo (81 students), and Los Pirineos (15 students). In the end, we saw 268 students, 183 medical patients, and 39 dental visits! This team was bursting with energy and a unique devotion that showed in their medical care and even their dance moves at the school where we were teaching hygiene and self-care to the students through song! The mood of the week was greatly affected by our worship and devotions each morning and ended with even more joy as we battled through lip sync. The team even got to experience an after-hour emergency at the hospital, in which they assisted. And to use our new operating room, they performed a 3 hour lipoma removal on a patient. This team was full of joy, energy, and diversity of ministry. We loved serving alongside the attitudes of these Christ-minded people and hope to see them again so soon!